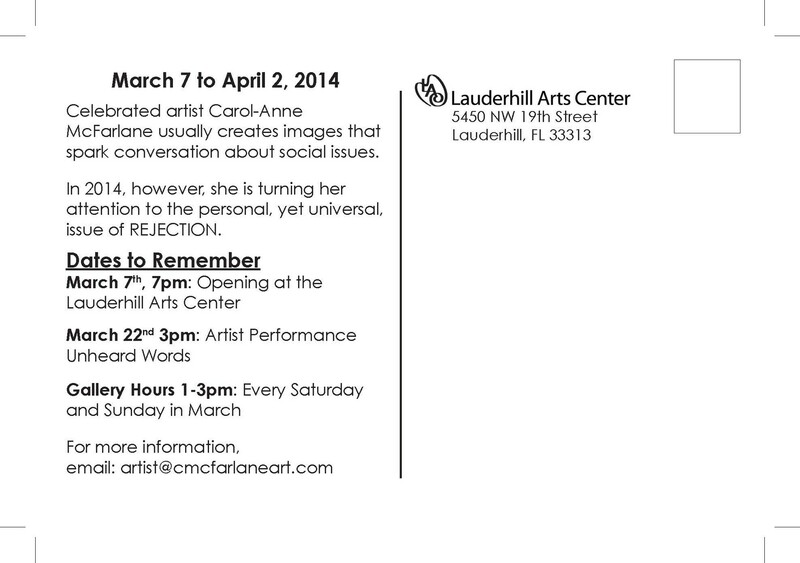 It has been a few weeks since I decided on the theme of my show at the Lauderhill Arts Center. I have done a number of things in preparation for this show. 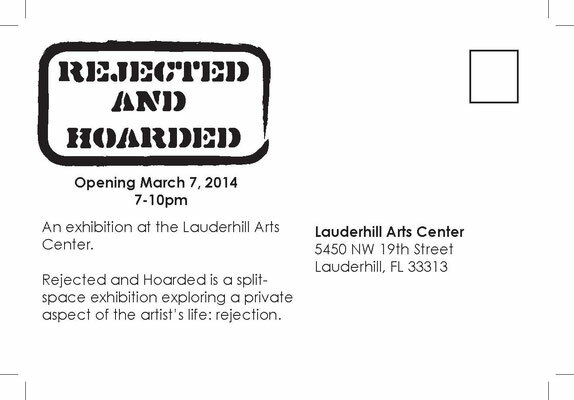 I designed the title for the show so that the marketing material will have a consistent look and feel. I have created events on Google+ and Facebook and invited friends. I requested addresses and mailed physical invitations! Yes, good ol' USPS stamped invites with RSVP cards! I discovered that I have somewhat of a mailing list. 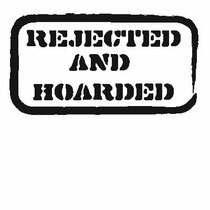 As I began to consider the people to whom I would send a physical invitation, my list began to grow. Not only did I send invitations to those that supported my art and career, I sent invitations to those that rejected me last year. 1. I will see the show. 2. 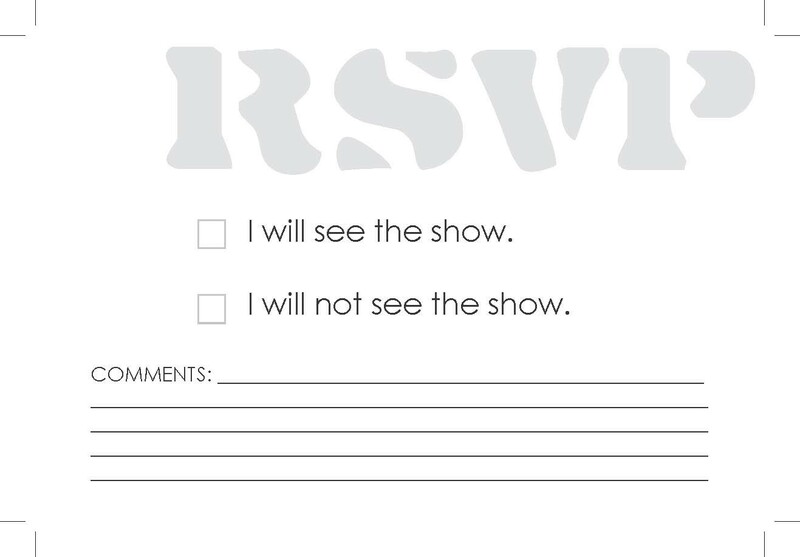 I will not see the show. I also left space for comments. 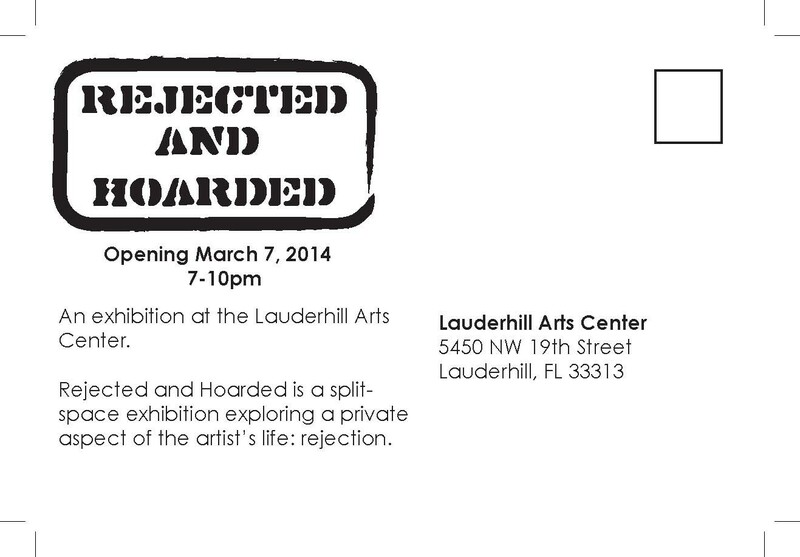 The RSVP cards collected before the opening will be displayed on the wall as another aspect of the idea of rejection. Anonymous. Designing the marketing material, highlighted the fact that there was no artwork to represent the show. 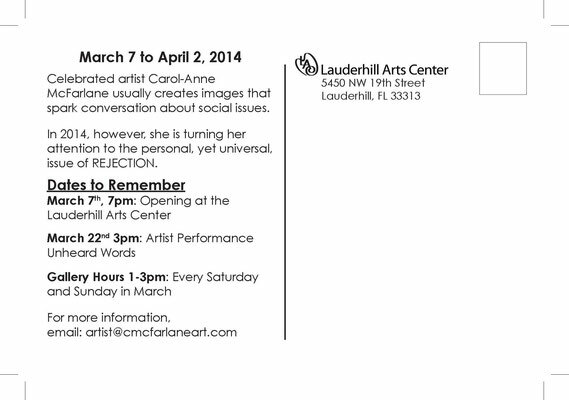 Usually, the marketing material for art shows has an image of some sort. Images are on one side of the postcard with show details on the back. This time, this show had no image. 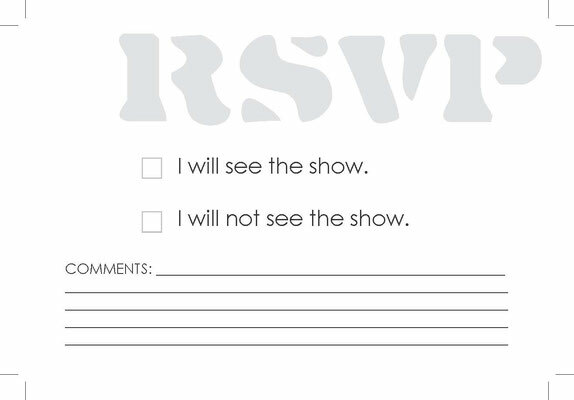 How would a viewer perceive a print of an email on the one side saying, "...unfortunately you were not selected..." and show details on the other side? I didn't want to confuse. I had to design the show title to communicate accordingly. I am excited about the fact that there is no image to promote or describe. It adds to the concept of the show. The absence. It is exciting for me to tell people that there are no images in the show. I mean really, how else would you describe it? This show is in line with my thought process for producing artwork. The idea is always paramount. Everything else that is brought into the process is meant to support the idea. The next item that I will work on is the catalog essay. I have to decide how much I am going to share about this very personal experience. Everyone will read this. Yikes! How do I touch? How far do I go in talking about my experience? 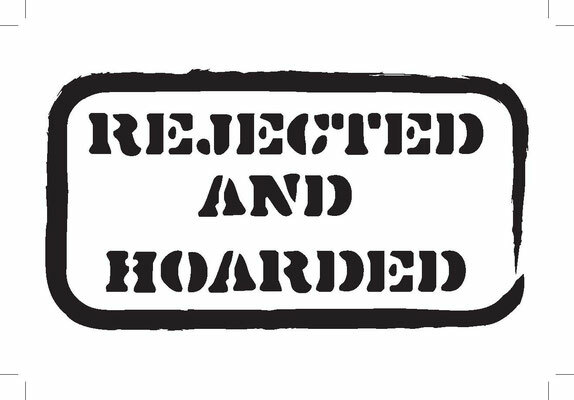 These are the questions I am going to tackle this week as the opening date for Rejected and Hoarded inches closer. Stay Connected! Sign up for email updates!